Graduate of the Faculty of Law of the Viadrina University in Frankfurt on Oder (Bachelor of German and Polish Law, LL.B.) and the Faculty of Law and Administration at the Adam Mickiewicz University in Poznań (Master of Laws). Passed his bar examination in 2013 with a distinction (among the four best results at the Regional Bar Association in Poznań in 2013). Languages: German (proficient). His professional interests are mainly associated with the structure of commercial companies and partnerships, copyright and intellectual property rights, and pursuing unfair competition claims. He comprehensively prepared and conducted transformations and divisions of numerous companies. He also prepared procedures and documentation associated with personal data protection. Successfully guided clients through court proceedings associated with, among others, civil law, acts of unfair competition, labour law, including numerous cross-border disputes. 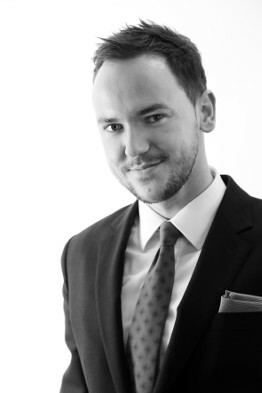 He has been cooperating with the Majchrzak Brandt i Wspólnicy law firm since 2008, previously gaining experience in other law firms in Poznań. Laureate of the Polish National Knowledge Competition on the European Union organized by the Embassy of the Federal Republic of Germany in Warsaw. Completed a journalist training and published articles in the German “Frankfurter Allgemeine Zeitung” journal.